In early August, the staff of the Princeton Review announced that Tech had made its Green Honor Roll for the year 2015. Tech received the honor along with 24 other colleges, out of more than 850 surveyed. Every building constructed on campus since 2009, by Tech’s own rules, is designed to meet some level of LEED certification. 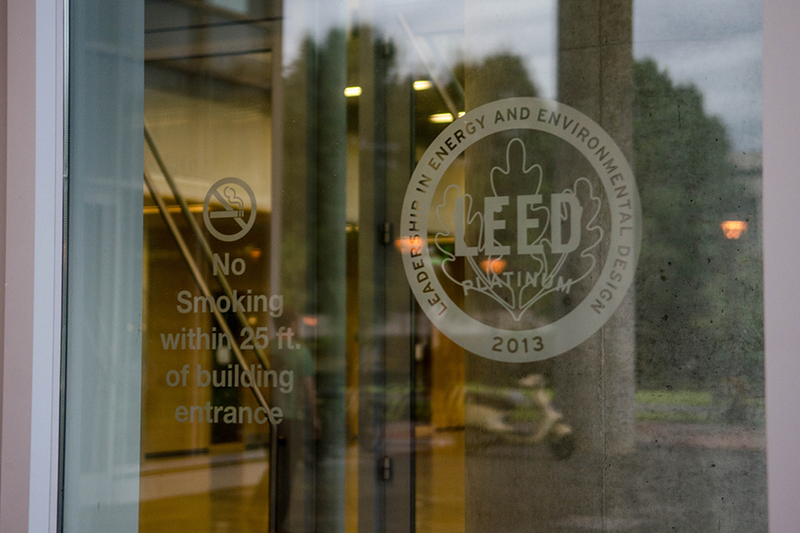 The buildings are often adorned with signs with the LEED seal. An example can be found on the glass doors of the Clough Undergraduate Learning Commons (CULC). The Princeton Review highlighted the CULC as a “sustainability showcase,” with green classrooms, a 360 solar panel array and a rooftop garden. Other buildings with a LEED certification include the Klaus Advanced Computing Building, and North Avenue Apartments. The award also emphasized Tech’s water usage practices. Sitting under Tech Green is a cistern which holds 1.4 million gallons according to the Princeton Review. The cistern collects rainwater for use in landscaping and toilet-flushing. The CULC’s gardens also feature native plants, which were chosen because they require less water. The Princeton Review has awarded Tech the Green Honor Roll for seven consecutive years, ever since it was introduced. Tech’s commitment to the environment has won other numerous accolades as well. The Sierra Club placed Tech on its list of Top 10 Cool Schools this year. Tech has also been designated a Tree Campus by the Arbor Day Foundation for six consecutive years.